Below is the rush transcript for This Week on December 28, 2014. It may contain errors and will be updated. ANNOUNCER: Starting right now, a special edition of ABC's This Week: game changers. JONI ERNST, SENATOR-ELECT IOWA: Well Iowa, we did it, we did it! ANNOUNCER: The twists and surprises. IAN DARKE, SPORTSCASTER: Tim Howard is there. ANNOUNCER: The people who made their mark in 2014. We're inside the fight against Ebola. How these heroes beat the odds. The new high stakes drama. Has Vladimir Putin reignited the Cold War? After a tough year for the NFL, has soccer now become America's game? And the powerful emotional story behind the year's biggest viral video. One hour of new, exclusive interviews and insights. The game changers of 2014. From ABC News, a special edition of This Week with George Stephanopoulos begins now. GEORGE STEPHANOPOULOS, HOST: Good morning, and welcome to our special holiday edition of This Week, a week we mark each year with our special game changers edition. But there is a big developing story right now and we want to get right to it. DAN HARRIS, ABC NEWS CORRESPONDENT: George, thank you and good morning. I'm Dan Harris in New York. And we are tracking breaking news right now, just nine months after Malaysia Air flight 370 disappeared, another passenger plane from an airline based in Malaysia has vanished in that same part of the world. Air Asia flight 8501 was in the middle of what was supposed to be a short two-hour flight from the Indonesian city of Surabaya to Singapore when it disappeared, vanished from the radar. More than 160 people were on board, including many children. ABC's David Kerley is tracking all of this for us this morning. David, good morning to you. DAVID KERLEY, ABC NEWS CORRESPONDENT: Good morning, Dan. It will be an agonizing night for families. It is now dark over the Java Sea where a handful of aircraft looked for this missing jetliner. KERLEY: This is the actual Air Asia A-320 that is missing at this hour. Indonesian and Singaporean aircraft, about a half dozen, spent the afternoon looking for any sign of the jetliner, which was carrying 161 people, mostly Indonesians. Flight 8501 took off from Indonesia early Saturday morning heading northwest for Singapore. 42 minutes into the flight, the jet runs into severe weather, thunderstorms and turbulence. The pilot asked to turn and to increase altitude significantly, from 32,000 feet to 38,000 feet. The jet then just disappears off radar. Call centers and family areas set up for those wondering about the passengers, which include 16 children and one infant with a crew of six. The A-320 was just 8 years old and had no serious maintenance issues. Air Asia is a low cost startup airline and has a good safety record. But the mystery is what happened to this aircraft and where it is this morning. KERLEY: The search has been called off now that it is dark over the Java Sea. President Obama has been advised about the situation. Another mystery surrounding a South Asian aircraft, Dan. HARRIS: Another mystery. David, thank you. So, let's bring in now our aviation expert, Colonel Steve Ganyard who is a former marine corps fighter pilot. Steve, I know for many of us when we're on planes and we're in that moment when we hit turbulence, we all try to remember, at least I do, that planes are build to withstand bad weather. So, given that, what could have possibly gone wrong here? STEVE GANYARD, FRM. MARINE CORPS PILOT: Well, lots of things could have gone wrong, Dan. I think we're sort of grasping at straws. We look at it -- why should a perfect good airplane, or seemingly perfectly good airplane drop out of the sky at 32,000 feet? And I think the first thing we look at is weather and we see that there was quite a bit of weather in the area, big thunderstorms. They were moving their way around to try and avoid some of the thunderstorms. But we shouldn't probably get too pulled off on this idea that it was just weather. There may be some other factors here that we're going to really need to find as the investigation goes on. HARRIS: The question on everybody's mind this morning is how is this happening again? In this age of high tech, how have two planes simply disappeared from radar? GANYARD: It's really discouraging. If you remember, you think back in March when we lost the Malaysian aircraft off the coast of Australia, we think it's off the coast of Australia, and we said never again -- never again should we lose an airplane. And here we are almost 24 hours into another missing aircraft. In this day and age, there's enough technology that we should never again lose an airplane. We should know right where it is right now and we ought to have ships and rescue aircraft out there right now. HARRIS: Yeah, but just to be clear, every time a plane crashes, it does go off radar, but you're saying there should be more of an indication here than there is. GANYARD: Right. The fact that after a full day we weren't able to find wreckage or find any indication of this aircraft, is just -- it just says we have to improve the way we track airplanes and we shouldn't be able to lose them. Now once we can find the area, you look at the Java Sea where this is, it's a vast area of big ocean, there's not a lot out there so getting folks out there so getting search and rescue folks out there to look for that airplane is going to be tough. That said, it's a very shallow sea so it's not like where we're looking off the coast of Australia that's very deep water. So if we can get to an proximate area, I think we'll have a very good chance of finding and recovering this aircraft, finding that black box that will tell you what truly happened to this aircraft. HARRIS: So, perhaps this won't be as an enduring a mystery as MH370 continues to be. Just one last quick question here, David mentioned that this is an airline, Air Asia, with a good safety track record. What more do we know about this airline? GANYARD: It is. It's a startup. It's been around almost a decade. It flies the A-320, which is a terrific airline. Nothing in -- no red flags popping up about this airline -- no safety problems that you would say, oh, well, that's to be expected. In this case, very good airline, very good airplane, airplane that's designed to fly around weather like this, well trained pilots. So, it seems like this is a total mystery at this point, Dan. HARRIS: We keep saying it is a mystery. And a reminder, we're tracking the story all day long at abcnews.com. We'll also have the very latest on World News Tonight. Now, though, back to George and our special game changers edition of This Week. STEPHANOPOULOS: And now a stunning year of politics at home. A year that saw Republicans sweep to power, solidify their hold on Capitol Hill and set the stage for a presidential campaign that's drawing in big names and big money earlier than ever. Chief White House correspondent Jonathan Karl has been tracking it all. JONATHAN KARL, ABC NEWS WHITE HOUSE CORRESPONDENT: It was obviously a big year for Republicans, but 2014 was an especially big year for Republican women. ERNST: Thanks to all of you we are heading to Washington. And we are going to make them squeal. KARL: Their biggest winner, Joni Ernst, the first woman elected to the senate from Iowa, the first female combat veteran elected to the senate from any state. ERNST: I grew up castrating hogs on an Iowa farm. KARL: And the first to launch a campaign like this. ERNST: Washington is full of big spenders, let's make them squeal. KARL: But Joni Ernst wasn't the only Republican woman to make history. There was Shelley Moore Capito in West Virginia. SHELLEY MOORE CAPITO, SENATOR-ELECT WEST VIRGINIA: For the first time in the history of West Virginia we are sending a woman to the United States Senate. KARL: In Utah Mia Love became the first black Republican woman elected to the House of Representatives. In New York, Elise Stefanik, only 30 years old, the youngest woman ever elected to congress. So, when the 114th congress gets seated in January, there will be a record number of women serving, 107 total, 20 in the Senate, 87 in the House. Could you make the argument this was the year of the woman? COKIE ROBERTS, ABC NEWS CONTRIBUTOR: Yes and no. There are more women in congress than there have been before but incrementally, the same number of women in the Senate, the same number of women governors. But it is a year when we're seeing different kinds of women, women of color, women the color in the Republican Party. And we're seeing more powerful positions. KARL: The top of the Republican Party, though, remains almost exclusively male. KRISTEN SOTTIS ANDERSON, CO-FOUNDER ECHELON INSIGHTS: They've really tried to focus on building up a bench of leaders, understanding that maybe at the very top levels of the party it's predominantly male. They understand that they need to start cultivating new and fresh talent. HILLARY CLINTON, FRM. SECRETARY OF STATE: Hello Iowa! KARL: 2014 was the year Hillary Clinton solidified her standing as the presumptive Democratic presidential nominee. She launched her big book tour while supporters under the banner Ready for Hillary set up a shadow campaign. We asked Bill Clinton about them in Iowa. BILL CLINTON, 42ND PRESIDENT OF THE UNITED STATES: They're like Energizer bunnies, you know, they're everywhere. They're ready to go as soon as she makes the decision, they're ready to go. KARL: They're going to be disappointed if she doesn't run. Do you think they'll be disappointed? BILL CLINTON: I will be not baited. I will not. I cannot be baited. KARL: Have we ever seen such a formidable front-runner on the Democratic side that was not an incumbent president or an incumbent vice-president? DONNA BRAZILE, DEMOCRATIC STRATEGIST: Yes. It was Hillary Clinton in 2008. But this is not about nostalgia. This is not -- you know, she's not inevitable. There are other candidates out there that will pose a threat. But I still believe that she is the best positioned candidate in the field right now. KARL: But for Mrs. Clinton, 2014 didn't go exactly as planned. DAVID AXELROD, FRM. ADVISOR TO BARACK OBAMA: What happened in 2008 was that Hillary's candidacy got in front of any rationale for it. And the danger is that that's happening again. You hear Ready for Hillary it's like ready for what? KARL: Her first big interview was with Diane Sawyer. CLINTON: If I run for president, the way I think about it is that the two most important questions are not will you run and can you win? Those are obviously what people will speculate about, but what's your vision for America? And can you lead us there? KARL: But she seemed a little out of touch. CLINTON: You have no reason to remember, but we came out of the White House not only dead broke but in debt. KARL: While it's true the Clintons left the White House in debt because of legal bills, they quickly made millions. The next day, she tried to clarify her remarks on "Good Morning America." CLINTON: I fully appreciate how hard life is for so many Americans today. It's an issue that I've worked on and cared about my entire adult life. KARL: The next round of headlines was about her huge speaking fees -- $200,000 or more for a single speech. Over the summer, Mrs. Clinton found herself at odds with President Obama on foreign policy, suggesting in an interview with "The Atlantic" magazine that his failure to build up the Syrian opposition led to the rise of ISIS. Soon, she was clarifying her remarks again. CLINTON: We have disagreements, as any partners and friends, as we are -- might very well have. But I'm proud that I served with him and for him. ANDERSON: She won't be able to sit on the sidelines of national controversies if she really gets into the race. And I think that will begin to erode some of that favorability that she has been build -- able to build up. DONNA BRAZILE, DEMOCRATIC STRATEGIST: She spent four-and-a-half years off the campaign trail. And I think she has to regain her political footing. I think she will start out 2015 knowing exactly where she's going and hopefully inspiring others to follow her. KARL: She's still the no doubt about it frontrunner, but her most talked about potential challenger is another woman. BRAZILE: Elizabeth Warren is -- is now the hottest ticket in -- inside the Democratic theater. And there's no question that there will be a movement to try to encourage her to run. And there will be a movement to encourage other Democrats to get into the race. So this is not going to be a -- a walk to the White House, it's going to be a very, very challenging run to the White House. KARL (on camera): I asked her if she would consider running for president two years ago. Could we see you running for president in 2016? SEN. ELIZABETH WARREN (D), MASSACHUSETTS: Sir, I have five words for that -- no, no, no, no, no. KARL: Her answer has changed. KARL: She is now saying I am not running. KARL: Nobody is running right now. KARL: That's just a statement of fact. KARL: So what's going on? ROBERTS: This is sounding familiar. BRAZILE: Yes, well, you know, I think it's refreshing to have her voice not only in the leadership in the Senate, because she's part of the leadership now, but it's refreshing to have her voice out there in the public sphere. KARL: What would it mean to have a Democratic primary where you had an all-out battle and the two that were battling were women? ROBERTS: It would be good for America. KARL: And Hillary might disagree with that, though. BRAZILE: But we rank 95th in the world in terms of female representation in elected office. We have a long way to go before we reach parity. KARL (voice-over): A long way to go, but getting there. STEPHANOPOULOS: Now to those new threats from overseas. From Russian President Vladimir Putin, aggressive and unpredictable, as the Russian economy reels. And from the terrorist group ISIS, whose brutal surge threatens the stability of the Middle East, the security of the West. Here's our chief global affairs correspondent, Martha Raddatz. DIANE SAWYER, ABC NEWS ANCHOR: We begin with breaking news. MARTHA RADDATZ, ABC NEWS (voice-over): This was a year that the country veered from crisis to crisis. UNIDENTIFIED MALE: The Malaysian flight shot down. RADDATZ: From the reemergence of a cold war adversary bent on reasserting its superpower, to the emergence of a new and brutal terrorist group bent on destruction. BARACK OBAMA, PRESIDENT OF THE UNITED STATES: They have rampaged across cities and villages, killing innocent, unarmed civilians. UNIDENTIFIED MALE: The fighting has just begun. RADDATZ: -- but Americans and the West. The Islamic State, ISIS, grew from the remnants of Al Qaeda in Iraq, quickly evolving into one of the best funded and most heavily armed terrorist organizations of all time. MATTHEW OLSEN, FORMER DIRECTOR, NATIONAL COUNTERTERRORISM CENTER: Left unchecked, they've made it clear that they see us as a strategic enemy. And they do have the capability, over time, to pose a significant threat to us. RADDATZ: Despite initial reluctance by the White House to get dragged back into another Middle East conflict, the president expanded airstrikes from Iraq into Syria, pounding ISIS targets relentlessly, something we witnessed firsthand aboard the USS H.W. Bush in the Persian Gulf. (on camera): The deck of an aircraft carrier is busy anytime. But during this air campaign, it has been especially intense. The air campaign has held them off in certain areas, but the Iraqis certainly haven't been able to take much territory back. UNIDENTIFIED MALE: The momentum has been stopped. The key will be can we turn back those gains? And that's going to really depend on having Iraqi security forces and other indigenous forces in the region being able to hold those gains. SAWYER: The cold war now a deadly tug of war. RADDATZ: -- 2014 brought back an all too familiar foe, as confrontations with MIG fighter jets, glimpses of Russian submarines off the shores of Europe, echoes of the cold war that began in spectacular fashion. UNIDENTIFIED MALE: The Russian Federation. RADDATZ: Russian President Vladimir Putin, "Forbes" most powerful man, was ready to shake up the American-dominated world order and he sat down with George. GEORGE STEPHANOPOULOS, ABC NEWS ANCHOR: You've put so much into these Olympics, going back to 2007. So I wonder now, how do you define success in Sochi? And is your personal honor and reputation at stake? PRES. VLADIMIR PUTIN, RUSSIA (through translator): No, no. You see, I wanted to be a success for this nation. RADDATZ: But Putin's Olympics were plagued with controversy, corruption, billions over budget and most notably, a backlash at Russia's anti-gay laws, banning homosexual propaganda, gay athletes feared persecution. President Obama, in a direct challenge, appointed high profile gay athletes to lead the U.S. delegation. STEPHANOPOULOS: But what do you say to Americans who see Russia and you not only as a rival, but an unfriendly adversary? PUTIN: Between major countries, there certainly always are some common ground and points of tension. DAVID REMNICK, EDITOR, "THE NEW YORKER": I think history will remember those Olympics as the launching pad of the transformation of Vladimir Putin. Russia's attempt to assert itself on the international scene and then what follows puts a really, I think, dark color on that event. RADDATZ: What followed is Putin's hard line response to the uprising in neighboring Ukraine. The country erupting into violence as Russian-backed separatists tried to seize control. Russia, expanding its empire, annexes Crimea. The United States, flexing its muscle, slaps sanctions on Russia. OBAMA: It does not have to be this way. This is a choice that Russia, and President Putin in particular, has made. RADDATZ: Tensions reach a crisis point when, in July, a Malaysian passenger jet over Ukraine is accidentally blasted out of the sky by separatists reportedly using a Russian-supplied missile, killing the nearly 300 passengers on board. REMNICK: There's responsibility there in Moscow, there's no question about it. RADDATZ: But Putin's resurgence is taking a heavy toll at home, as the Russian ruble loses more than half its value and food prices rise 25 percent. Despite these economic hardships, Putin's approval ratings remain high, over 80 percent. REMNICK: His power there is singular. The -- there's -- there's not a great deal of oppositional, whether in the streets or in the Kremlin or in the other institutions of power. It's all him. RADDATZ: But 2014 did see the dismantling of one cold war relic. After decades of antagonism, the president reestablished relations with communist Cuba. OBAMA: Today, America chooses to cut loose the shackles of the past. RADDATZ: Yet despite that thaw, the new threats that emerged over the year are far from resolved. STEPHANOPOULOS: Much more ahead on this special edition of THIS WEEK. The tattooed goalie who took the world by storm -- we're talking to Tim Howard next. And remember all that ice water dumped on everyone from celebrities to presidents? That unforgettable story coming up. Plus, our THIS WEEK regulars on their game-changers of 2014. REP. KEITH ELLISON (D), MINNESOTA: The Ferguson protesters are my game-changers for this year. They changed the national conversation about police accountability and they raise important issues about whether or not the military should be sending weapons to local government. MATTHEW DOWD, ABC NEWS CORRESPONDENT: Robin Williams. In his life, he made us laugh and he made us cry. And in his death, he shined a light on depression and mental illness, and, hopefully, all of us who it's affected, all families in the country, could cause a focus on it and do something about it. STEPHANOPOULOS: So will soccer star Tim Howard try for the World Cup when he's about to hit 40? And the inspiring story behind the Ice Bucket Challenge. We're back in 90 seconds. CHRISTINE BRENNAN, ABC CONTRIBUTOR: My "Game Changer" is the Ray Rice elevator video. It was September 8th and it started a national conversation on such an important topic, not only in the National Football League but throughout our country. COKIE ROBERTS, ABC CONTRIBUTOR: My "Game Changer" I hope is that the awful stories about domestic violence and sexual assaults on campus have brought attention (AUDIO GAP) and maybe some attention will be paid to fix it. 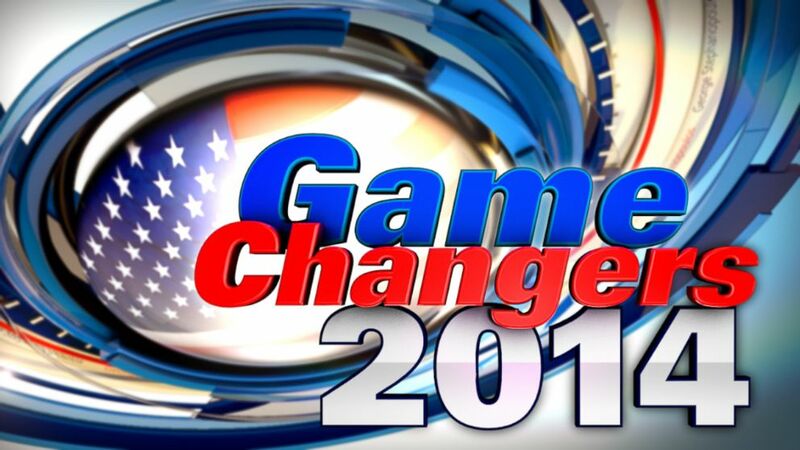 STEPHANOPOULOS: And we're back now the "Game Changers" of 2014. It was a tough year for football with more evidence that concussions were taking a serious and permanent toll on the game. And some graphic incidents of domestic violence that cast a shadow over the season. But for the sport that the rest of the world football, 2014 may have been America's best year yet. And goalie Tim Howard was the biggest reason. GMA weekend anchor Paula Faris has his story. PAULA FARIS, "GOOD MORNING AMERICA" (voice-over): It may be the most popular and lucrative sport in the United States, but football's biggest hits lately have been off the field, crises at every level. UNIDENTIFIED MALE: The scandal widening this evening. UNIDENTIFIED MALE: New scandal rocks the NFL. UNIDENTIFIED FEMALE: They took the video to make everyone aware of just how awful it was. FARIS: From the NFL all the way to high school. UNIDENTIFIED MALE: A hazing scandal. FARIS: Yet the other football, we're talking soccer, and its popularity growing faster than any other American sport, fueled in part by the success of the U.S. Men's National Team and their performance at the World Cup, led by their fearless goalkeeper. The games captured every corner of America as the U.S. enters uncharted waters, never before making it this far in back-to-back World Cups. (on camera): If there was a highlight reel of Brazil, one moment, what was it? TIM HOWARD, GOALKEEPER, U.S. MEN'S NATIONAL TEAM: It would have been Clint scoring against Ghana. FARIS (voice-over): Just 29 seconds into the first game, the team captain, Clint Dempsey, making history. UNIDENTIFIED MALE: It's the earliest USA goal ever in World Cup history. FARIS: And igniting a legion of American "fandemonium." HOWARD: For me that just started -- that started the ride. FARIS: That ride, anchored by Tim Howard, made this year's "U.S. Soccer Male Athlete of the Year." (on camera): Your epic performance, 16 saves, a World Cup record, what's going through your mind during that game? HOWARD: Nothing. Everything is the same, you know? Slows down a little bit. I felt in good rhythm. I wish I could do it every week. I wish I could save, you know, more balls every week. FARIS (voice-over): Americans became obsessed with their new hero: the tattoos, that beard, after all those saves, 1.8 million mentions on Twitter, even a call from the president. BARACK OBAMA, PRESIDENT OF THE UNITED STATES: I just wanted to call and say you guys did us proud. HOWARD: Thank you very much. FARIS (on camera): How nervous are you before that phone call? HOWARD: He seemed like all Americans, to be genuinely enthralled and immersed in the passion and drama of soccer in the World Cup. FARIS: I think so many people were just so inspired by your performance in that last game even though the U.S. team lost. All the memes that were coming up, there were hundreds of them, there was the "brick wall," the "secretary of defense." HOWARD: I think probably the one where I was catching Scooby Doo had to be the funniest one, because I'm a fan from back when. FARIS: But there was actually a hashtag, #thingsTimcouldsave. FARIS: One of them was Bambi. Could you save Bambi? HOWARD: I would try my best. FARIS (voice-over): There's no need for Howard to "save" soccer here in America, the national team giving a boost to an already surging youth interest. UNIDENTIFIED MALE: This isn't a passing fad. This is something that millions Americans are buying into, and it's continuing to grow. UNIDENTIFIED FEMALE: Tim Howard was the ultimate role model in a year that needed that. FARIS (on camera): There are a bunch of kids from your native New Jersey that dressed up as Tim Howard for Halloween. HOWARD: I saw that, yes. FARIS: Obviously the beards kind of gave them away. HOWARD: Yes, yes. Soccer jerseys and the beard. HOWARD: It's part of it. FARIS: Is part of it. What did you think about that? HOWARD: I thought it was cool. I hope people don't get too attached to it, because it's eventually going to go. HOWARD: I don't know. I never know. FARIS (voice-over): That beard now part of a valuable image. UNIDENTIFIED MALE: The World Cup, and Tim's performance in that World Cup has driven the popularity of soccer. It's now a great marketing platform for brands in America. FARIS (on camera): In terms of advertisers, how many now? Because I'm sure you're courting quite a few after that performance. HOWARD: I've always tried to pick and choose my sponsors. It has never been just about money. I think you want to associate yourself -- well, you should, anyway, associate yourself with good companies, you know, who do positive things, I think, in the community, who kind of match what you're all about, you know? Not -- and I've been able to do that. Thankfully, I've been able to do that. FARIS: So you've left a lot of money on the table? HOWARD: Absolutely, yes. It's important, because it can't rule my life. (on camera): You gave an interview one time with "Athletes in Action." You said: "I'm blessed to be living a dream, yet if it all went away tomorrow, I know I would still have peace." FARIS: How do you have that peace? HOWARD: You know, through my faith, through my relationship with Jesus Christ. Soccer is awesome. It's a gift, but it's also a job. You know, and I think people who will soon forget that, to be out there every day and to stay relatively injury-free is a blessing. And one day that will come to an end, whether it's today or, you know, four years from now, I'll have peace with it. FARIS: So all the ladies will want to know, are you single? HOWARD: Yes. I'm very much single. FARIS: What are you looking for in a significant other? HOWARD: Oof. You know, right now, I'm probably not. You know? I'm focused on work. You know, that has been my -- that has been an undying passion for me, my children, those are my priorities. FARIS (voice-over): Also down the road, the next World Cup, 2018, in Russia. (on camera): How do you think you will be different in four years, when the next World Cup comes? HOWARD: My muscles will be much more unforgiving. FARIS: You'll be almost 40. HOWARD: Oh my God, I know. HOWARD: Yes, no, it's OK. You know, I think I'll be -- if all goes well, you know, and I have my say in it, it will be the end for me, you know? And I'll be looking forward to what comes next. This group in 2014 inspired me to want to go to 2018 because the group was just amazing. The ride that we went on was incredible and I want to be a part of that again. It's special. FARIS: So the goal is 2018 World Cup and then ride off into the sunset? HOWARD: That's it. Then hit the beach for a long time. FARIS: For a really long time. FARIS: For This Week, I'm Paula Faris, ABC News, Memphis. And now the unforgettable story of Pete Frates. You may not know his name, but you know what he inspired. That viral video craze that had America shrieking and shivering and giving like never before. The Ice Bucket Challenge may also help cure a paralyzing disease. John Donvan looks back at how it all began and what it really means. JOHN DONVAN, ABC NEWS CORRESPONDENT: Remember this? Yes, of course you do. There was a time this year when new videos of this were hitting the internet every few seconds. And if you weren't in one of these yourself, then you saw a whole lot of them. You saw news teams doing it and athletes and showbiz types and one guy who was a president once. And if you wondered how this caught on so big and so fast, then you need to know about this guy. UNIDENTIFIED MALE: Frates is swinging the bat with an awful lot of confidence. DONVAN: Pete Frates, whose own thing was baseball, a game he played phenomenally well, as he did a lot of other sports. Let his mom and dad tell you that. NANCY FRATES, PETE FRATES' MOTHER: He was all of two years old when we put him on skates. And the second he hit the ice he never stopped and eventually became captain of his high school hockey team. JOHN FRATES, FATHER OF PETE FRATES: He was a great football player, a better hockey player, but baseball, he was playing it like a contact sport. DONVAN: And in terms of contact, between bat and ball, Pete had long stretches of batting .400. UNIDENTIFIED MALE: That's a grand slam home run for Peter Frates! DONVAN: But now we get to some irony about all of that, because all of this bucket stuff was meant to raise funds for research into the disease known as ALS, also known as Lou Gehrig's Disease. DONVAN: Named for the great Yankee ball player who died of it. And so Pete played ball and then the irony, Pete got ALS also. That's why now the wheelchair and the other apparatus, it's to compensate for the rapid loss of the use of his limbs since 2012, something that frankly, his mom was sure medicine must have found on answer for since Lou Gehrig. NANCY FRATES: I figured in 75 years something's happened. We've put people on the moon and we've done all these things, I assumed that some progress has been made. OK, what's the treatment. There's no treatment. DONVAN: That's what happens with rare diseases, which ALS is. Not enough people get it to attract significant research funding. And that is the part that Pete Frates decided to try to change. NANCY FRATES: He was ready. Sat, told us the vision, and said what an opportunity we've been given to change the world. He said -- these are his words six hours after diagnosis. He said I'm going to get this disease in front of philanthropists like Bill Gates. DONVAN: He and a friend from New York who also has ALS had seen occasional fundraising efforts by sports figures who were throwing ice water at other cold things for good causes. And after passing some ideas back and forth, Pete staged this massive bucket challenge in downtown Boston. UNIDENTIFIED MALE: Three, two, one, dump them! DONVAN: And that, so many people at once, so many buckets, is the one that caught a wave in Boston and its key idea, make a donation in 24 hours or take the ice water. Well, the chain reaction started. Well, pardon the pun but it was like a waterfall. JOHN FRATES: No, it was amazing, it was stupendous, it's incredible. But was week one. And then when it went national, I'm saying, my god, this is what it feels like to be in the middle of a viral storm, ice storm. DONVAN: So that's how it all began. And what about the impact? Well, here's a man who is unable to move his arms and yet his reach has become just huge. He wanted Bill Gates to be involved. Well, look at this. He wanted word out about ALS. Well, look again. Now, there were some criticisms not unreasonable, that giving people the option not to donate and do this instead was giving them an excuse not to give and that people in the videos were making this more about themselves than the cause. But you know what, at the ALS Foundation, they have no problem with what Pete Frates has helped them set off. BARBARA NEWHOUSE, PRESIDENT AND CEO, ALS ASSOCIATION: The awareness level of ALS just hit -- went through the charts, went off the roof. It actually gave the name ALS, it gave it a credibility that was different than it previously had. Prior to the ice bucket challenge, most people, if you said ALS, they would not have been able to tell you anything about it. DONVAN: One other impact is how this made Pete and his own family feel. There's a reason that he's not appearing in this story talking himself. PETE FRATES: I cannot thank all who have participated thus far enough. DONVAN: This man who spread the story so far and wide can no longer speak. PETE FRATES: So, we are hoping to keep the momentum going. UNIDENTIFIED MALE: I'm doing this in honor of Pete Frates. DONVAN: So, again to his parents to say what it's meant to them that so many people got on board. JOHN FRATES: The power, the joy, the hope that came through on those videos back to Pete, number one, and ourselves and anybody, oh, we absolutely felt it. It's almost like we got a visual we're with you from every person do it. NANCY FRATES: Thank you, gratitude. It doesn't go to the soul as much as I want it to, to tell people what this means to us. And when I say us, I don't just mean John, Nancy, I don't just mean the Frates family, I mean the ALS community. The head doctors in this field have said to us over and over again, this is it. When the treatment is found and the cure is found, it will go back to August 2014 as the tipping point in the trajectory of this disease. NANCY FRATES: And it was Pete Frates. DONVAN: For This Week, John Donvan, ABC News, Boston. Up next on our special edition of "This Week," how did those heroic doctors and nurses beat the odds against Ebola? And more of "This Week" regulars with their game changers. BILL KRISTOL, WEEKLY STANDARD: My game changer of the year is the American voter who in his or her infinite wisdom elected Republicans to take control of the Senate and much of the rest of government at the federal and state level as well, thereby really ending the Obama era and laying the groundwork perhaps for a Republican victory in 2016. MICHAEL SMERCONISH, CNN: My choice is Pope Francis, because on issues that range from treatment of women, to treatment of gays, to even whether our pets are going to make it through the pearly gates, he put a soft, overdue face on the Catholic Church. And for that reason he's the game changer. STEPHANOPOULOS: And coming up, this was the year for legalized marijuana. Is the counter-culture going mainstream, and at what cost? VAN JONES, DEMOCRATIC POLITICAL STRATEGIST: My game-changer for 2014 is Ai-jen Poo. She won the MacArthur Genius Award because she's changed the labor movement by getting rights for domestic workers and nannies, which is the first time that's happened in the history of the country. REP. LINDA SANCHEZ (D), CALIFORNIA: My game-changer for this year is Taylor Swift, for two reasons. She's teaching the younger generation that you can be a lady. And she's teaching songwriters and musicians that they can control their future. STEPHANOPOULOS: Back now with a story, a very remarkable year for marijuana. After historic votes cleared the way for a legal pot industry in several states, David Wright takes a look at how it's working and what's next for experiments stirring up all kinds of debate. UNIDENTIFIED MALE: Hey, you want to get high, man? UNIDENTIFIED MALE: Is that a joint, man? DAVID WRIGHT, ABC NEWS CORRESPONDENT (voice-over): Remember Cheech and Chong, those hapless stoners from the era of "Up in Smoke?" WRIGHT: Well, 40 years later, they've finally arrived. WRIGHT: Tommy Chong on ABC's "Dancing with the Stars." Talk about a game-changer. An icon of the counterculture dancing the chock jaw on one of America's most popular mainstream shows. UNIDENTIFIED MALE: Doesn't he look like the most interesting man in the world on that thing? UNIDENTIFIED MALE: The most interesting stoner. WRIGHT: America's war on drugs is not over yet, but over the past few years, we've seen state after state surrender on the I see of cannabis. UNIDENTIFIED MALE: Have we reached the tipping point? ETHAN NADELMANN, DRUG POLICY ALLIANCE: I think we have reached the tipping point. WRIGHT: Ethan Nadelmann of The Drug Policy Alliance. NADELMANN: The polls consistently show that even half or more of the people who oppose the legalization of marijuana think it's inevitable. WRIGHT: Medical marijuana is now legal in 23 states, nearly half the country. Four states are experimenting with full legalization. And now, for the first time ever, Congress has rolled back the war on drugs through a spending bill, which, while it squashed DC's hopes for full legalization, enacted a hands-off approach for states that are relaxing their pot policies. The times, they are a changing. PRES. RICHARD NIXON: Public enemy number one is drug abuse. PRES. RONALD REAGAN: Drugs are menacing our society. PRES. GEORGE H.W. BUSH: Our 1990 drug budget totals almost $8 billion. WRIGHT: -- the war on drugs has been costly. PRES. GEORGE W. BUSH: We've got a problem in this country. Too many people use drugs. BARACK OBAMA, PRESIDENT OF THE UNITED STATES: So help me God. WRIGHT: By the time Obama took office, the drug enforcement budget had doubled again -- more than $15 billion a year. So the idea that marijuana has now been legal in Colorado for a full year, with no major disasters, is a big development. GOV. JOHN HICKENLOOPER (D), COLORADO: I didn't support the initiative, but you can't argue with the -- with the will of the voters. WRIGHT: Colorado officials have been true to their word, embracing the challenge of implementing a policy many of them disagreed with. MAYOR MICHAEL HANCOCK (D), DENVER, COLORADO: So let's be smart about how we handle it. Let's legalize it, tax it and let's make sure that people are held responsible for the responsible use of it. UNIDENTIFIED FEMALE: Sean, your total is $59.74. WRIGHT: -- has the fastest growing economy in the country. (on camera): What have the tax revenues been like in Colorado? UNIDENTIFIED MALE: It's been more than has been expected. It's going to add up, clearly, to hundreds of millions of dollars very quickly per year. WRIGHT: To be sure, not everyone is a believer. KEVIN SABET, DIRECTOR, DRUG POLICY INSTITUTE: Today's marijuana is not your Woodstock weed of the '60s. It's five to six times greater in strength and potency. So what you have, actually, is a disconnect with the parents that might have smoked it a couple of times through college and turned out fine, and today's marijuana, which is much stronger than it used to be. WRIGHT: Stronger and public health officials worry, easier for young people to get their hands on. DR. PAULA RIGGS, UNIVERSITY OF COLORADO: Any time you legalize a drug, it increases access. WRIGHT: Posing a bigger threat to a teenager's developing brain. RIGGS: Brain development is really rapidly occurring from about age 10 well into our mid to late 20s. Your brain is kind of under construction. And the latest study shows that regular use when you're an adolescent is associated with a six to eight point reduction in IQ. (on camera): If you were president, how would you treat states that legalize marijuana? GOV. CHRIS CHRISTIE (R), NEW JERSEY: Probably not well. CHRISTIE: Not well, but we'll see. WRIGHT: To Hillary Clinton on CNN, the debate seems to have shifted from "Just Say No!" to a qualified maybe. HILLARY RODHAM CLINTON, FORMER SECRETARY OF STATE: States are the laboratories of democracy. We have at least two states that are experimenting with that right now. I want to wait and see what the evidence is. WRIGHT: Contrast that with Bill Clinton and his famous answer to the pot question a generation ago. BILL CLINTON, FORMER PRESIDENT OF THE UNITED STATES: When I was in England, I exempted with marijuana a time or two and I didn't like it and didn't inhale and never tried it again. WRIGHT: -- but make no mistake, it is already ending. In 2004, Tommy Chong was in federal prison, cell mates with the wolf of Wall Street for selling bongs. WRIGHT: A decade later, he almost made the finals of "Dancing with the Stars." TOMMY CHONG: I was going to turn the mirror ball into a mirror bong. UNIDENTIFIED FEMALE: Oh, gosh. What stuff. WRIGHT: Pop culture embracing the counterculture. We'll be back with Dr. Richard Besser on the inspiring mission of those doctors, nurses and American troops battling the Ebola outbreak. And more game-changers from our THIS WEEK regulars. RICH LOWRY, EDITOR, "NATIONAL REVIEW": As someone who's watched way too much "House of Cards" and "Orange is the New Black," my game-changer of the year is Netflix and their wonderful streaming TV shows that enable binge watching. Thanks for wasting so much of my time, Netflix. JAMES CARVILLE, DEMOCRATIC POLITICAL STRATEGIST: My game-changer of the year for 2014 is the Koch brothers and all wealthy Republican donors. After disaster 2012, they came back with a bucket load of money and insisted that they have discipline among the candidates for the United States Senate. And much to my chagrin, it worked. STEPHANOPOULOS: Back in March, little did anyone know that the real crisis in three small West African countries would create such an epidemic of panic right here in America. Well, nine months later, the hyped scare is over here. But in the heart of the hot zone, the fight against a deadly disease continues. ABC's chief health and medical editor, Dr. Richard Besser, reports on the heroes waging that battle. DR. RICHARD BESSER, ABC NEWS CORRESPONDENT (voice-over): It's a virus so dangerous that just to walk among patients takes elaborate precautions. Any gap in the protective gear can mean the difference between life and death. (on camera): There's not one speck of my body that -- that is exposed. (voice-over): Isolation wards in Liberia stuffed with dazed patients, manned by overwhelmed caregivers. (on camera): Do you worry, working here, that you could get Ebola? UNIDENTIFIED FEMALE: -- but you have to help out some people. BESSER: Outside in bustling Monrovia, a poorly conceived attempt at quarantine. So, they've been in this compound for seven days? With fences, barbed-wire, even string. So, this is the line and the idea is that the germs will stay on that side of the line? BESSER: There's no cure for Ebola and no vaccine. The disease spreads through touching body fluids. So, caregivers, like family members, medical workers and those who bury the bodies are most at risk. I have to say that there are few things that I've done in medicine that are as nerve wracking as going into this place. At the epicenter of the outbreak -- Liberia, Guinea, and Sierra Leone, heroes have stepped in, putting their own lives at risk to save others. UNIDENTIFIED MALE: You are first going to enter the suspect section and I will show you a few patients that are suspect. BESSER: Dr. Jerry Brown, a Liberian surgeon running the OI (ph) unit, took me inside an isolation ward where more than 50 patients were being treated. It's one of the most hopeful things I've seen here in Liberia is the type of care and the way he dealt with his patients. There's one patient in there who said to Dr. Brown, he said you're god. You gave me life. And Dr. Brown said no, no, I'm not god. Dr. Philip Ireland wasn't even taking care of Ebola patients, he contracted Ebola while working in the emergency room. DR. PHILIP IRELAND, MONROVIA EMERGENCY ROOM DOCTOR: When I went into shock I said, wow, if I don't get an IV line placed in with fluids, I'm going to die. BESSER: Tell me about that moment when you walked out of the hospital? IRELAND: I felt like I walked out of the jaws of death. BESSER: Like other survivors, Dr. Ireland went back to work to save his neighbors. Locals were joined by volunteers and charities from around the globe to help build makeshift hospitals, teach decontamination methods, and treat the sick. NANCY WRITEBOL, VOLUNTEER: My job in the Ebola unit or in the isolation unit, or in the isolation unit, was to make sure that doctors were suited up properly in their personal protective gear. BESSER: Those are critical jobs. And I felt the weight of that, I can tell you. BESSER: Missionaries Nancy Writebol and Dr. Kent Brantley were the first Americans to contract the disease while working for Samaritan's Purse and S.I.M. DR. KENT BRANTLEY, VOLUNTEER: I was taking care of sick people before they had been isolated. So, it's a scary time. I mean, we have healthcare workers getting sick and that scares healthcare workers who might otherwise want to respond. BESSER: That fear then spread to the U.S.
STEPHANOPOULOS: The first case of the deadly disease diagnosed on U.S. soil, a major American city on high alert. BESSER: Thomas Eric Duncan's diagnosis was at first missed and it sent a city into panic, his family put into quarantine. After his death, two nurses who treated him became the next patients. DR. TOM FRIEDMAN, DIRECTOR, CDC: At some point there was a breach in protocol and that breach in protocol resulted in this infection. BESSER: Texas Presbyterian nurses Nina Pham and Amber Vincent became patients in the same isolation rooms where they had worked, then were transferred to facilities better equipped to deal with infectious diseases. Both nurses surviving, perhaps thanks in part to the plasma donated by Dr. Brantley. NINA PHAM, NURSE, TEXAS HEALTH PRESBYTERIAN HOSPITAL: As a nurse, I have a special appreciation for the care I have received from so many people. BRANTLEY: We didn't get into this profession to be safe, we got into this profession to serve humanity, to try and cure disease, and those are not safe endeavors. BARACK OBAMA, PRESIDENT OF THE UNITED STATES: At the request of the Liberian government, we're going to establish a military command center in Liberia to support civilian efforts across the region. BESSER: It became clear, the only hope for keeping Ebola away from here, send help there. Colonel Wayne Pritt commands the 633rd Airborne Division, Langley Air Force Base, the first U.S. military team to take part in Operation United Assistance. COL. WAYNE PRITT, COMMANDER 633RD AIRBORNE: I got the phone call it's going to be Langley. And we had 72 hours to get it together. BESSER: This was taking place at a time when all across America people were afraid of Ebola. PRITT: There was anxiety, certainly. The world didn't know how bad this was. The average person going out the door, those 34 members, they're going through their mind about what does this mean to me and what is my real risk going to be? BESSER: The airman's mission, build field hospitals and train health workers so that Liberians and volunteers alike can get treatment if they get sick. So, you were the first group of airmen to go into the hot zone? SGT. FANTA WILLIAMS, 633RD MEDICAL GROUP: Initially I was a little anxious of course. It's something new, it's something I haven't done before, but I was really excited to be able to complete the mission and go and help another country. BESSER: And it wasn't just any other country for you? WILLIAMS: No, sir. My dad is from the Ivory Coast and I have family that's in Liberia as well. So it was really good to know that what I was doing was going to help people that I loved as well. BESSER: TIME magazine just named Ebola responders people of the year. How does that feel? MAJ. JEFF CHAPERAN, 633RD MEDICAL GROUP: Very, very humbling. There are so many people out there right now: doctors, nurses, military individuals who are contributing to this fight. BESSER: Do you feel like a hero? MAJ. NATHAN SCHWAMBURGER, 633RD MEDICAL GROUP: I wouldn't say hero but I'm very proud of what our team accomplished. BESSER: Game changers all -- doctors, nurses, Americans, Africans holding fear at bay, holding a virus back. PRITT: You never know exactly what you're going to find until you step off that plane. And yet, no one flinched. They went out and they executed it perfectly. And You should have seen the smiles on their faces when they came back. They were very proud of what they had done. BESSER: For This Week, I'm Dr. Richard Besser, ABC News, New York. And thanks to all of you for sharing part of your Sunday with us today and all year long. And before we go, another big thank you: to everyone here behind the scenes who bring you This Week every week. We leave you with a performance from the United States Army Band, Pershing's Own. Have a happy, safe and blessed new year.